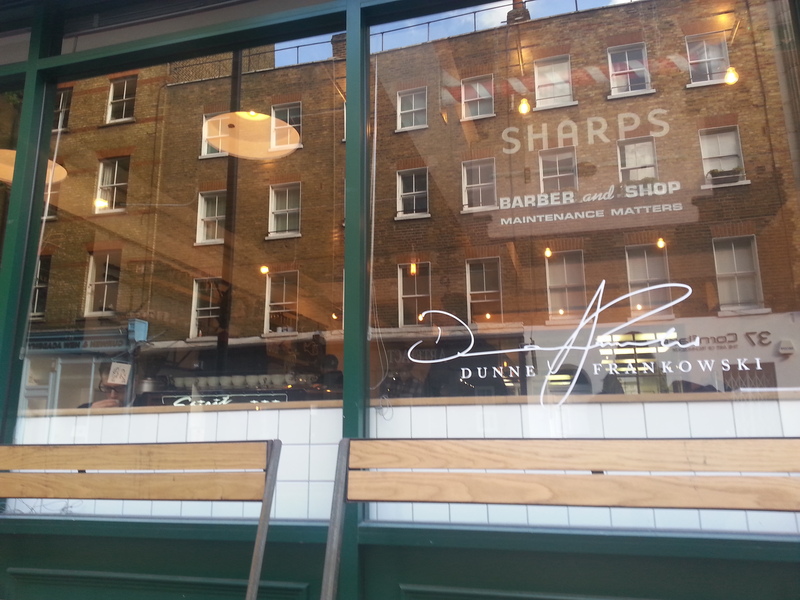 yet another new kid on the london burger block, and this time just a stone’s throw away from where i stay. i’m certainly not complaining! 😛 bobo social is a newly-opened burger joint in fitzrovia located in a cosy shop at the very end of charlotte street which prides itself on offering great burgers in a charming and civilised (i say civilised because your experience at bobo social will probably be far from the usual unglamorous juice-and-sauce-dripping-all-over-your-hands-and-running-down-your-wrists experience that many other burger joints offer) environment. there has been quite a bit of hype surrounding it since it opened, so it was a natural choice for one of my first meals back. indeed, we knew it was popular but didn’t realise quite how popular it was until we heard they were often full and reservations needed to be made in advance. so we promptly called on thursday night to make a reservation for lunch on friday, but turns out we had moved too slowly because they were already full :O some #seriousbusiness going on here! 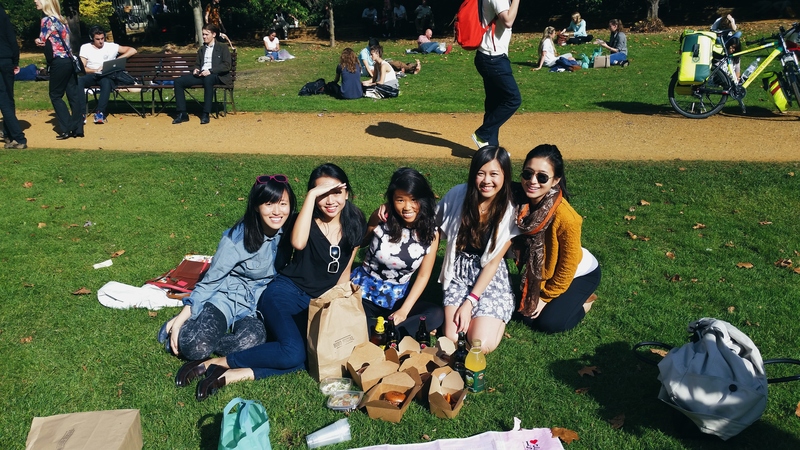 nevertheless, intent on not letting anything get in the way of us and our burgers, we decided to go with the lunch deal advertised on their website, and took away our burgers to the park to enjoy them as we basked in the (last of) summer sunshine. 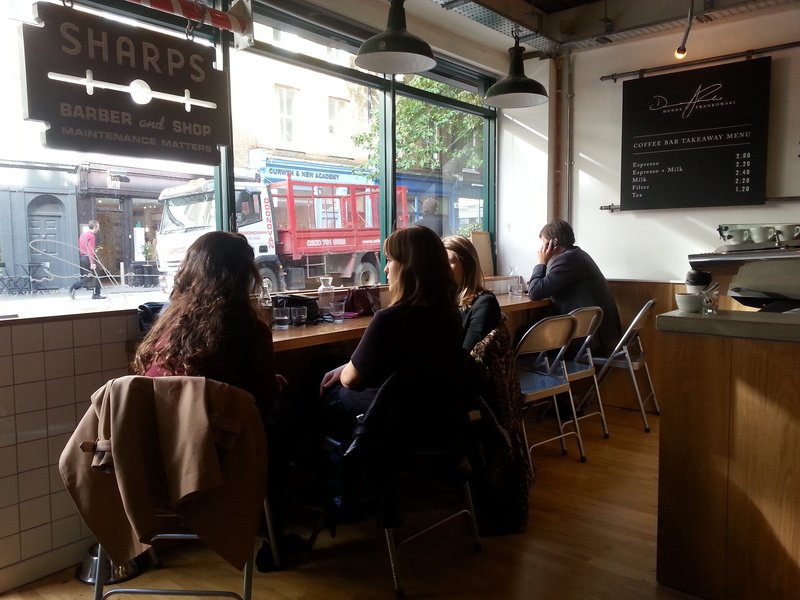 i arrived a little before 1pm to place the takeaway order, and was greeted by warm and smiling staff who were efficient and offered me a seat while i waited for the food to be prepared. the place was nearly full on the ground floor (they were expecting to be full by 1pm), and if i’m not wrong they have more seating in the basement. decor is simple but tasteful, and i noted how patrons who were dining in were served their burgers on an eclectic mix of intentionally-mismatched dining ware – the burgers sat neatly right in the centre of the pretty vintage plates, and tucking into the burgers with fork and knife was a very civilised and dainty affair. didn’t take a picture of the menu i was handed, but its available here at their website. you’ll notice that unlike other burger joints, on top of sides, they have a range of small plates, cocktails, wines and a decent selection of desserts (a friend tried the white chocolate cheesecake for dessert and gave it her stamp of approval). i believe this is how they are hoping to differentiate themselves from the rest – offering a full dining experience instead of the idea of “fast food” typically associated with burgers. 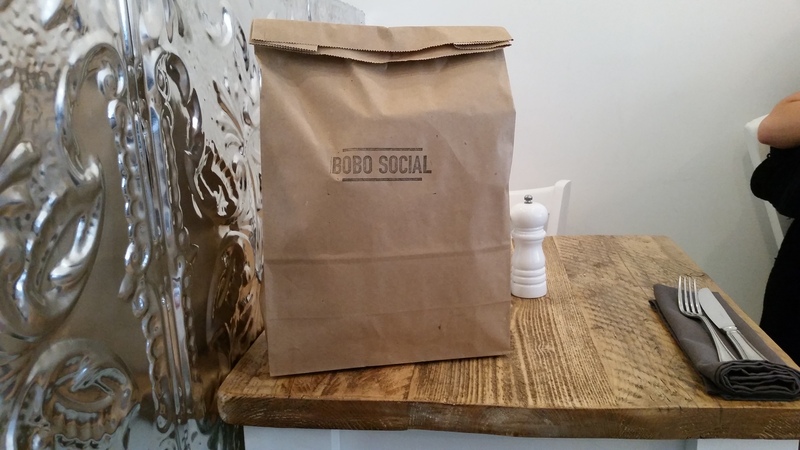 for the takeaway deal which is available daily from 12-2pm and is what we went for, you get a original BOBO burger and a side for a reasonable £10. i only waited about 10 minutes before i was presented with 2 big paper bags of food glorious food. 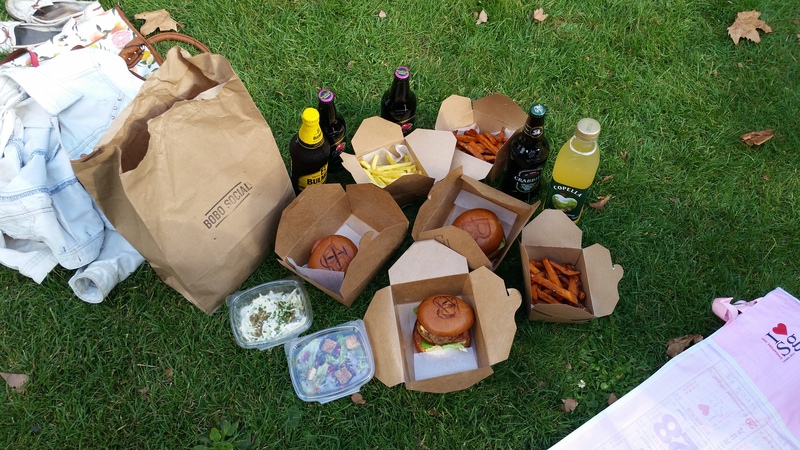 arrived at the park and excitedly dug into the paper bags to unveil and lay out them goods (this isn’t all; we had 5 burgers and 5 sides in total). size-wise, the burger wasn’t very big and i could handle it quite comfortably with one hand. good for the weight and health-conscious who see this as a guilty indulgence, the burgers aren’t very large or greasy at all so they leave you feeling satisfied but not too full. the lettuce, tomatoes and onions were fresh and complemented the beef patty well. 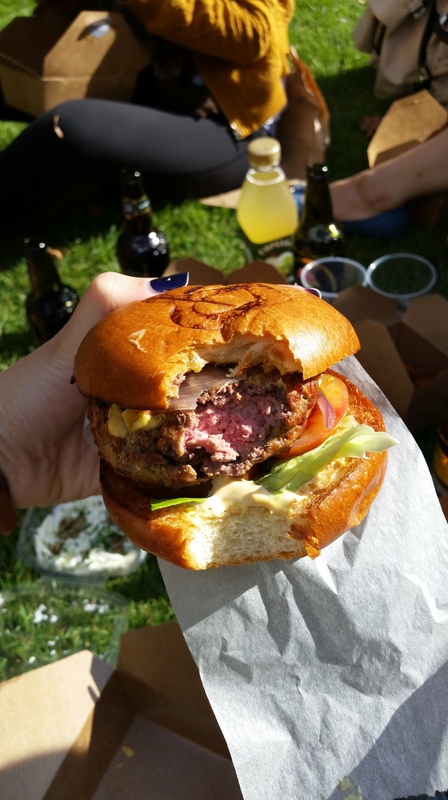 on to the beef patty – according to their menu, their burgers are handmade daily using rare-breed beef, and single species wood is used in their charcoal ovens to enhance the flavour of the meat. i must say that the beef patty was indeed well-seasoned, flavourful and very tasty. 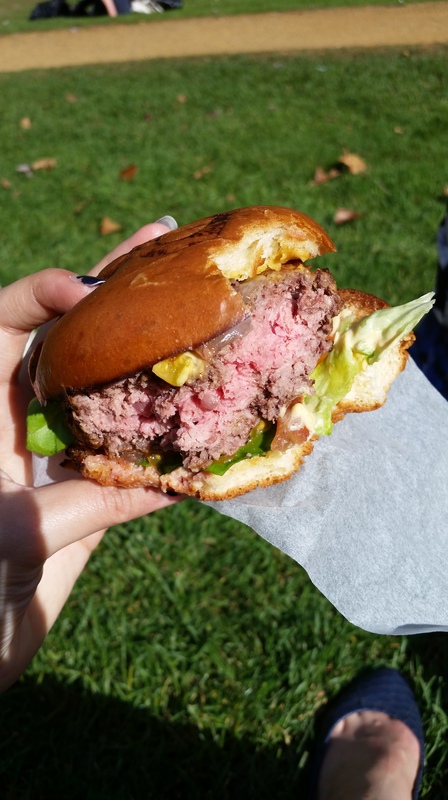 the meat was coarsely-ground giving it a really nice hearty texture, and the patties were also all cooked to medium-rare perfection, just look at that wonderful pink! : we all felt that they could have been juicier though; they were a tad dry, resulting in no messy juice-dribbling-moments at all. i would also have preferred more sauce; it seemed like i hardly had any of it so unfortunately i can’t really say what BOBO sauce tastes like! as for the next most important part of a burger, the burger bun, BOBO uses buttermilk brioche buns which i enjoyed very much – buttery, soft and fluffy, worthy of proudly emblazoning a big “B” across the top as they do. all in all, it was a pretty satisfying burger but it didn’t quite blow my mind or excite me in the way that i had hoped. the BOBO burger is definitely closer to the style of honest burgers, clean and simple, without the sauciness of patty & bun’s offerings. 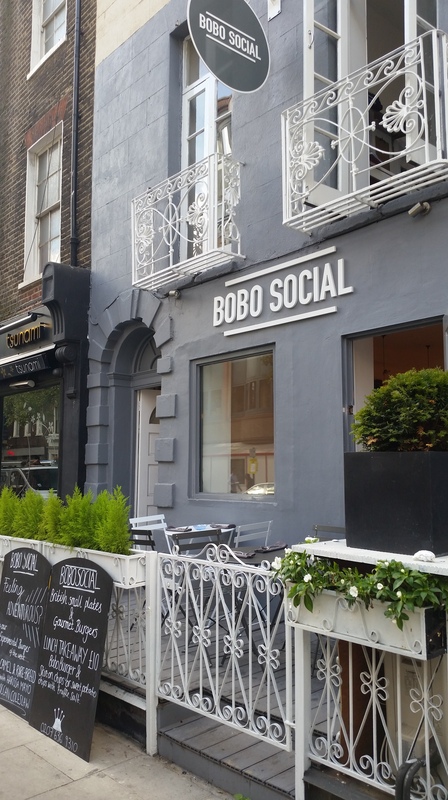 its worth noting that the rest of their offerings on the menu sound very promising though, and might be vastly different from the original BOBO. just realised (very belatedly) that i forgot to take a close-up shot of the sides, so unfortunately you’ll have to make do with squinting a little to see them in the picture of everything laid out above, and then envisaging them in their full glory in your minds. for the sides, we went for 2 servings of sweet potato fries, 1 serving of skin-on beef dripping chips, 1 serving of apple slaw with toasted pumpkin seeds, and 1 serving of mixed leaf salad with pomegranate and croutons. 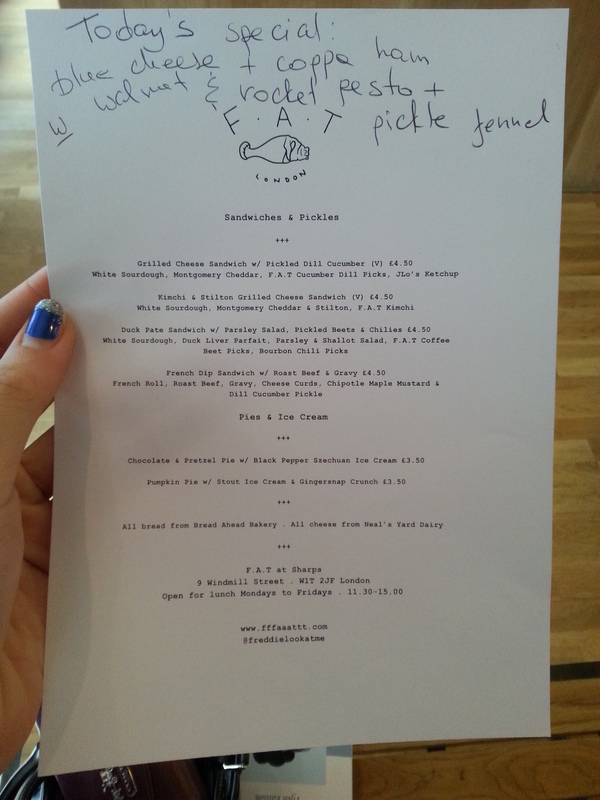 the favourites were definitely the sweet potato fries and the apple slaw. the apple slaw was refreshing and a nice and healthy (relatively) accompaniment to the burgers. the apple was sweet and wasn’t sliced too thinly such that they retained crunch and juiciness, while the dressing was light despite it being mayo-ish. our other healthy side was the mixed leaf salad with pomegranate. 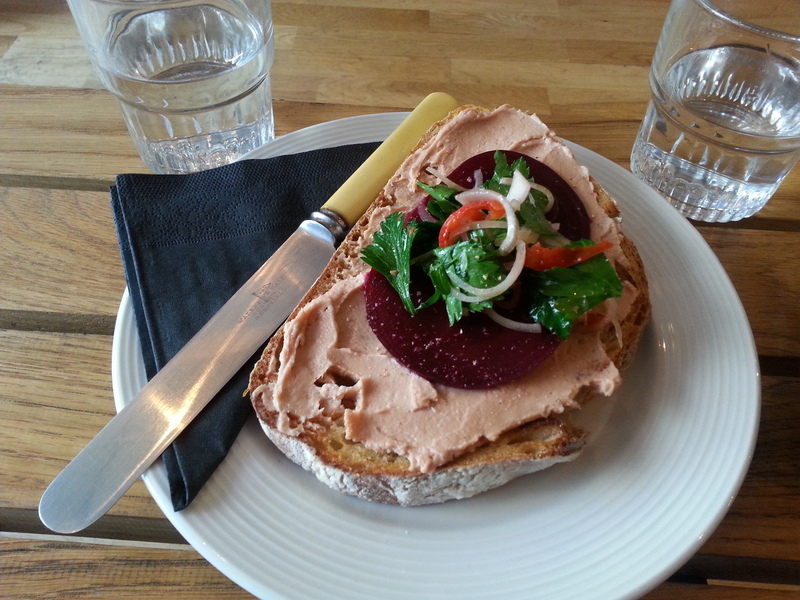 it wasn’t anything to shout about, a light accompaniment that could probably be served at any other restaurant. as for the sweet potato fries, i loved how they were chunky and rather thickly-cut, almost like wedges except that they were still rectangular and generally fry-shaped, not wedge-shaped. i can imagine that they would have been even better if taken fresh at the restaurant; they were unfortunately a little soggy by the time we tucked into them, but still satisfying and remotely crispy on the outside nevertheless! they were supposed to be sprinkled with truffle salt but unfortunately there was nary a hint of that… as for the beef dripping BOBO chips, given their fancy-sounding name and the fact that they were named after the restaurant, i had very high hopes! they ended up meeting my expectations, but not quite surpassing them in any way. they were good fries, but not particularly outstanding and in fact i think they could have done with a little less salt. all in all, we were all a little let down and agreed that the burgers at BOBO didn’t quite live up to our high expectations. admittedly, our expectations were pretty high because we had heard so much about the burgers, and the fact that we took them away instead of dining in probably reduced the taste-good factor, even if just by a little. we also found the prices rather steep compared to the other big burger names in town (patty & bun still remaining my top choice and honest coming in a not-very-close second; i swear patty & bun really has my heart 😀 ), and hence all agreed that we wouldn’t quite jump at the chance to head back to bobo. that said, the other burgers on the BOBO menu (which come at a heftier price tag) sound really interesting and i like the idea of the experimental burger sessions they have on monday nights, so there is definitely reason to give it another chance! 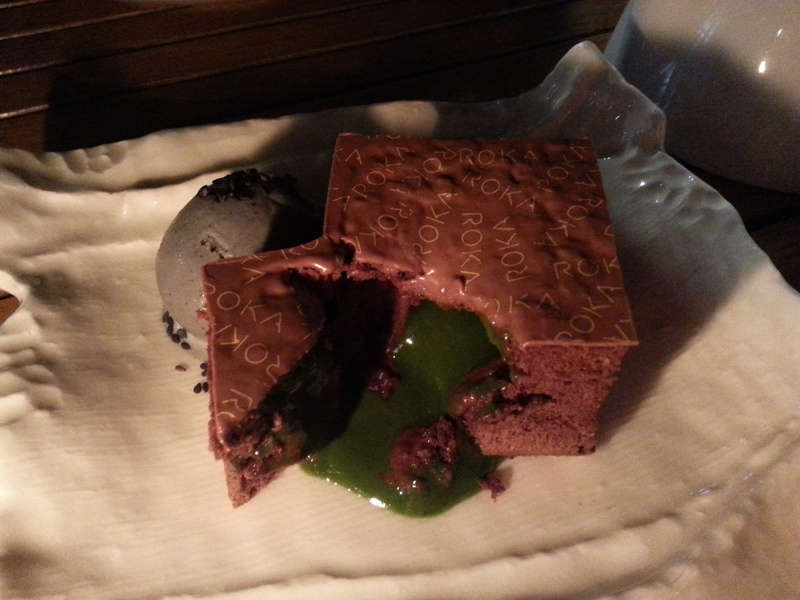 today on rockabitebaby, i present to you… *drumroll please*… quite possibly my new favourite dessert in all of london and one of the BEST molten lava cakes i have ever had – none other than roka’s dark chocolate molten matcha lava cake. 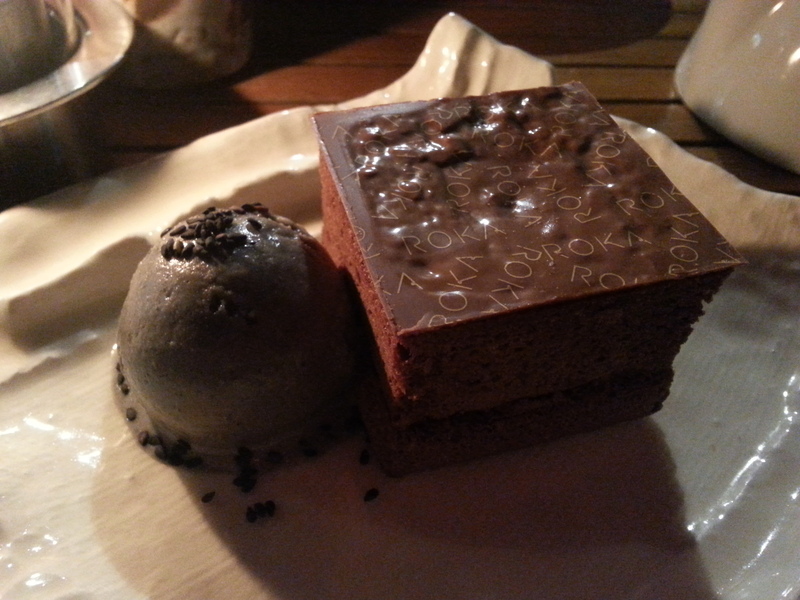 after a wonderful japanese dinner at nizuni (directly across the street from roka) last weekend, my pig-in-crime for the night and i decided to try our luck at roka and see if they’d just let us order dessert. we weren’t too optimistic and were initially turned away but we must have looked pretty shattered, because we were later told that we could do that if we sat outside, so brave the cold we did!!! and boy am i glad we did. 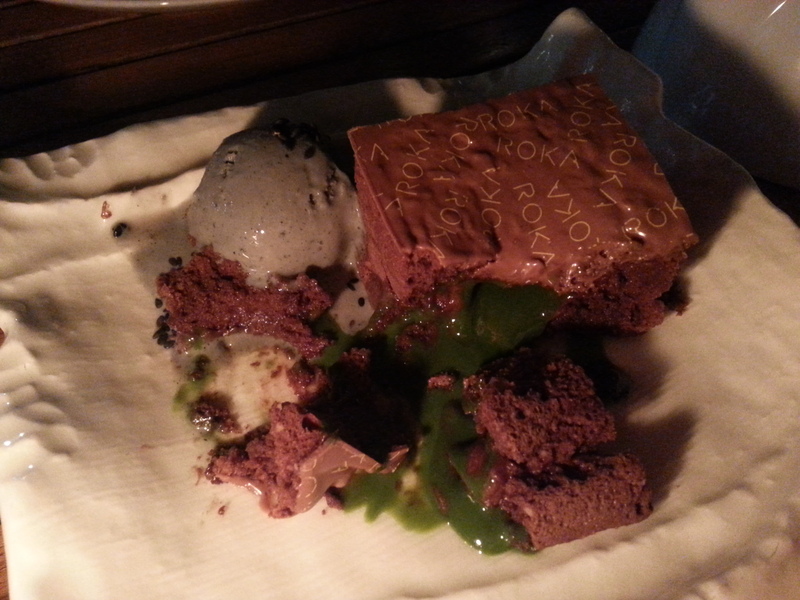 we didn’t even need to look at the menu to place our order; we had come for just one thing: what they call the CHOCOLATE TO MACHA PUDDING, YO-NASHI AISU, rather underwhelmingly described on their menu as a dark chocolate and green tea pudding with crunchy jivara and pear ice cream. i really don’t know why its misleadingly called a pudding, because this is some seriously amazing molten lava cake! the dark chocolate cake was crisp at the edges but moist inside, and even got a little gooey towards the centre, just as a perfect molten lava cake should be. it was light and not overly-sweet – pretty much a match made in heaven with the molten matcha that was of the perfect consistency. 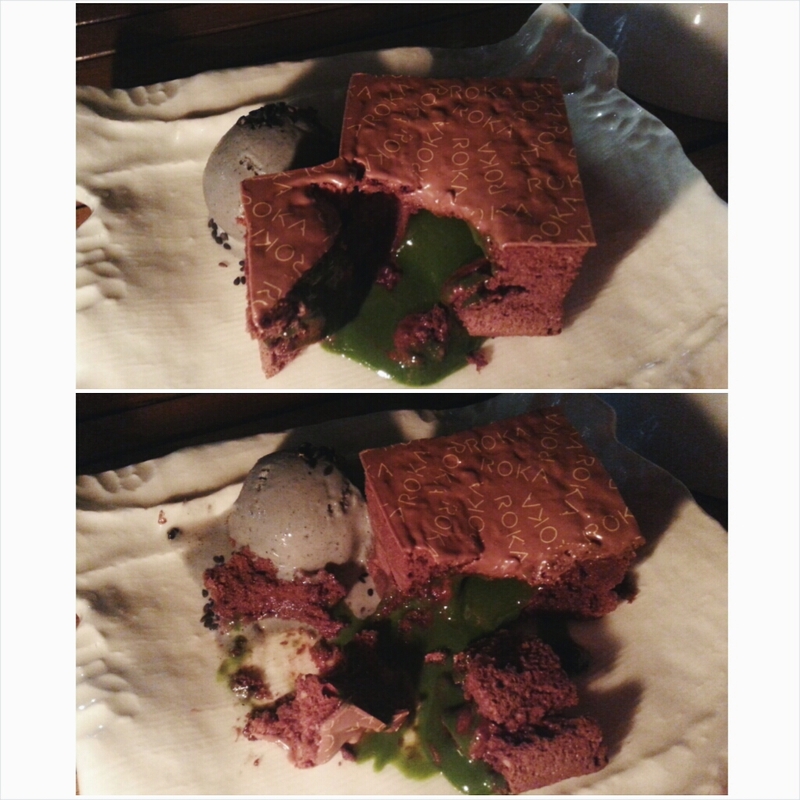 the matcha taste was really authentic; there was not a hint of any cheap artificial matcha flavouring at all and topped with the yummy black sesame ice cream which was smooth, creamy and fragrant with black sesame bits, we were truly in dessert heaven. 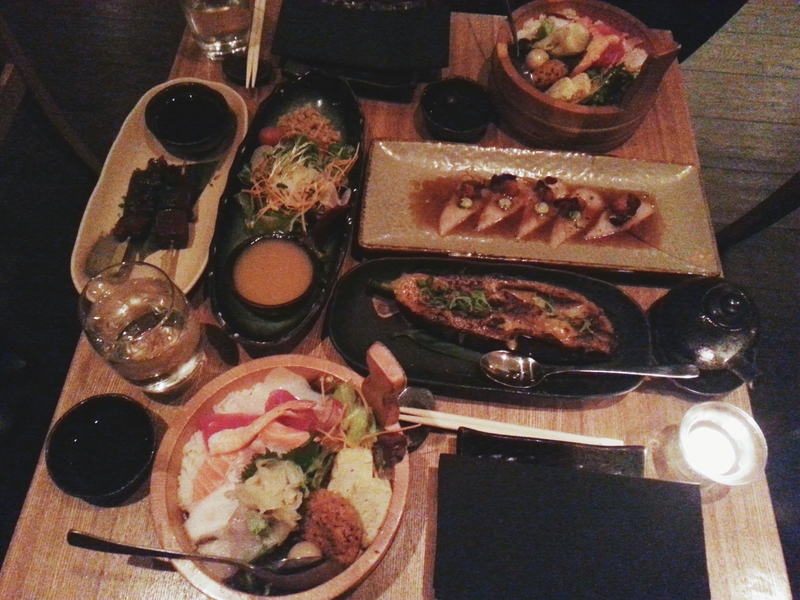 a must-try if you are at roka and i will without a doubt be back for this, hopefully along with their proper food too!!! for matcha lovers out there, it is essential that you give this amazing cake a try to better your quality of life. as for non-matcha lovers out there, it is equally imperative that you do the same; you might just change your mind about this green goodness. 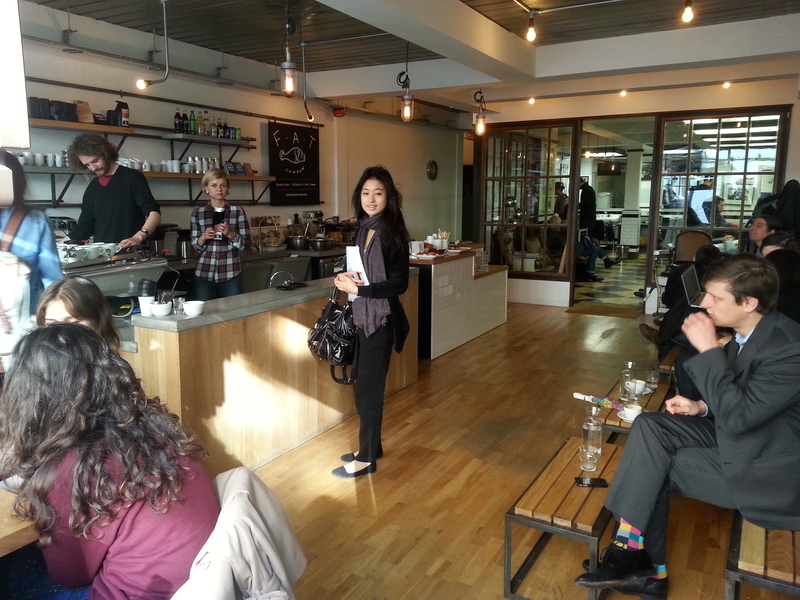 i’m glad we accepted the invitation to dinner at bibimbap along charlotte street (thank you jeremy! ), because it is now somewhere we see ourselves returning to when craving a big bowl of piping hot rice on a cold night. 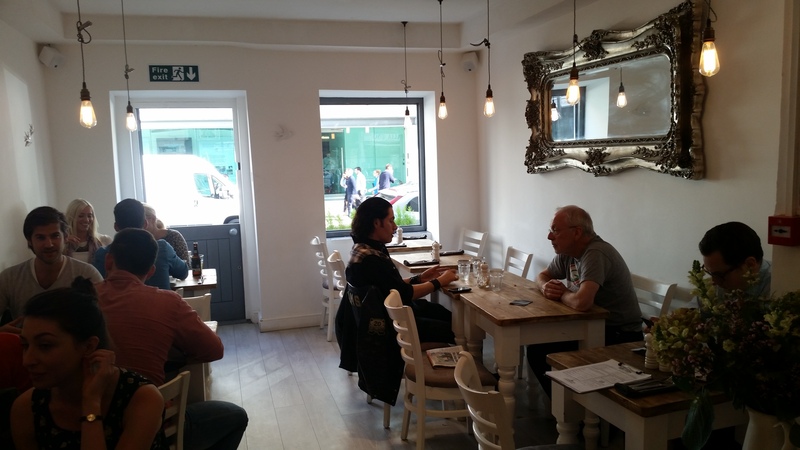 besides the main dining area, they have 2 other seating areas spread across 2 floors in the back, which seem ideal for private parties or large groups looking for a quiet corner to themselves. 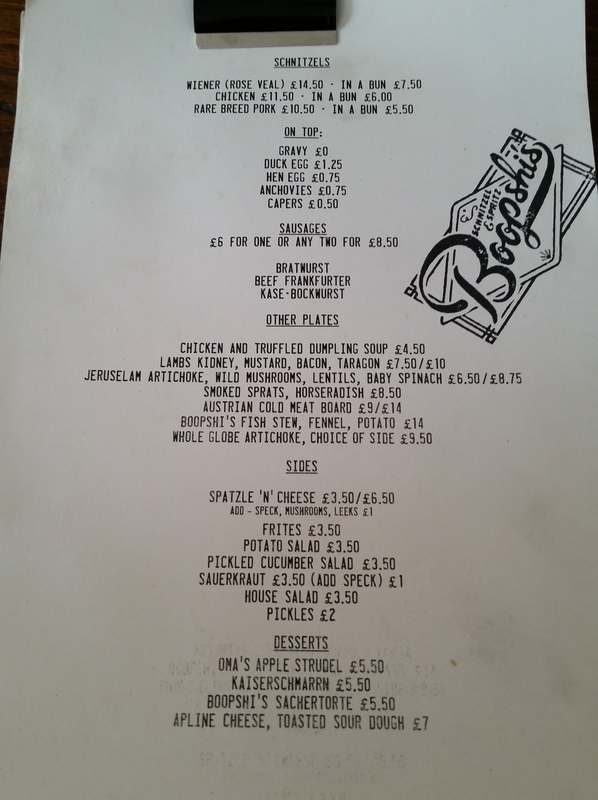 didn’t manage to snap a pic of the menu, but you can find it on their website here. though quite simple, the menu is wide enough to include an array of korean favourites and of course as the restaurant’s name suggests, many variations of bibimbap! we started with a seafood pancake, and a serving of chilli squid. the pancake was a nice start to the meal that left us in anticipation of good things to come. we liked how the pancake was of just the right thickness – any thinner and it would probably have been too crispy, and any thicker and it would probably have been too dense! it was tasty and not too oily, and the serving size was decent for its price. however, we felt it could have done with a little more seafood in it; a lot of the time we felt like we were just having a plain pancake with some veg and the odd bit of small prawns. the chilli squid was a hot favourite for us. the seasoning was delicious and the squid was deep-fried to perfection, without being too oily. the batter was clearly fried in fresh oil, and was wonderfully crispy without being dry and crumbly. the squid itself was juicy and naturally sweet, and size-wise the serving was more than enough for two. it was so tasty on its own that we didn’t touch the dipping sauce at all! would definitely recommend this as a side. for our mains, we opted for a mixed mushroom bibimbap topped with a fried egg, and a beef bool-go-gi bibimbap topped with a raw egg. 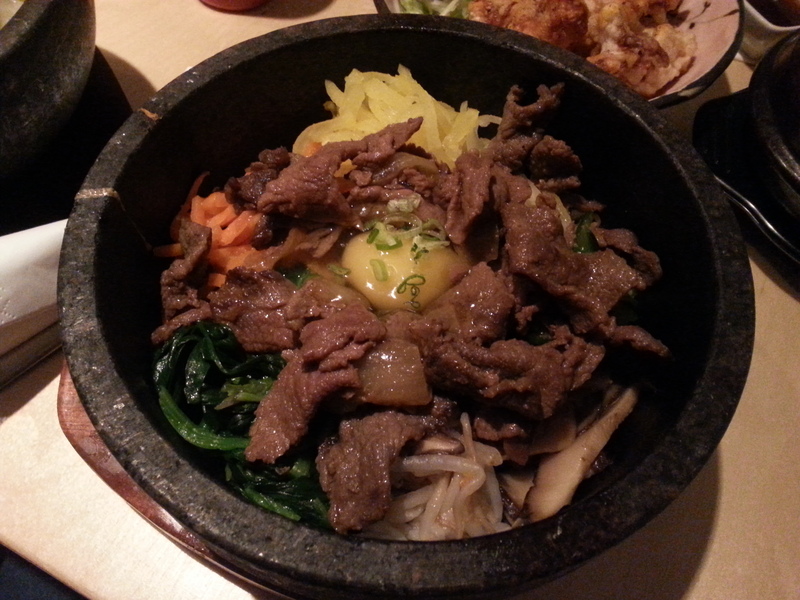 i (rach) thoroughly enjoyed the beef bibimbap which i got! 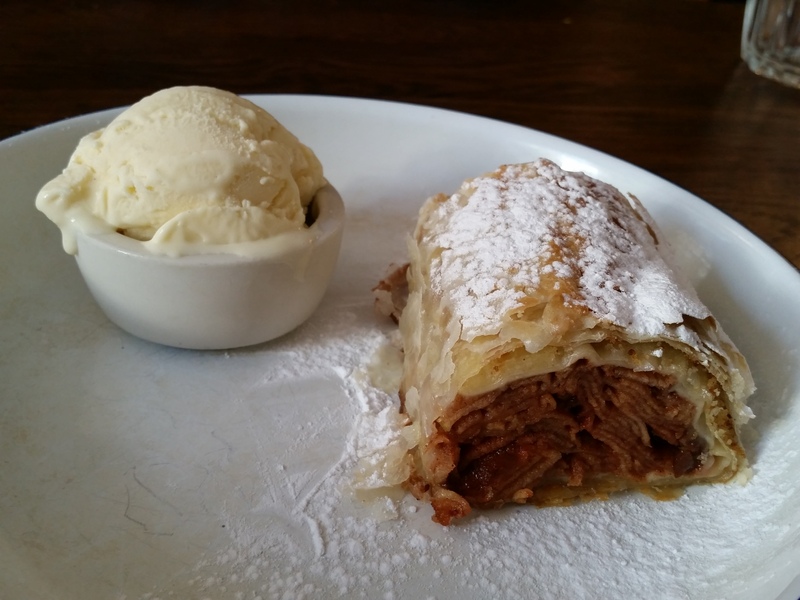 the beef was very well-seasoned and tender, the other ingredients were fresh, and both were very generously provided! also loved the slightly charred bits of rice at the bottom (though i did feel that there could have been more charring) that were the result of serving the bibimbap in a stone bowl, as i feel it always should be!!! after mixing everything together: topped with a healthy dose of sauce, it made for an extremely delicious and satisfying bowl of bibimbap, definitely one of the better ones i’ve had in london! i loved how the ingredients were added so generously that there was more than enough to be eaten with the rice. nothing is worse than having to eat plain rice because there just aren’t enough condiments to go around. nic had this, and as with the beef one rach had, the bibimbap was served in a stone bowl which provided the slightly charred taste that gives bibimbap its supposed authenticity. the portion of mushrooms on top was extremely generous and hearty. after all, there can never be too much-room for mush-room in a dish. the mushrooms were extremely fresh and consisted of a good variety. there were shitakes and also what i (nic) reckon were white and cremini mushrooms. this gave not just a nice variation in taste but texture as well. 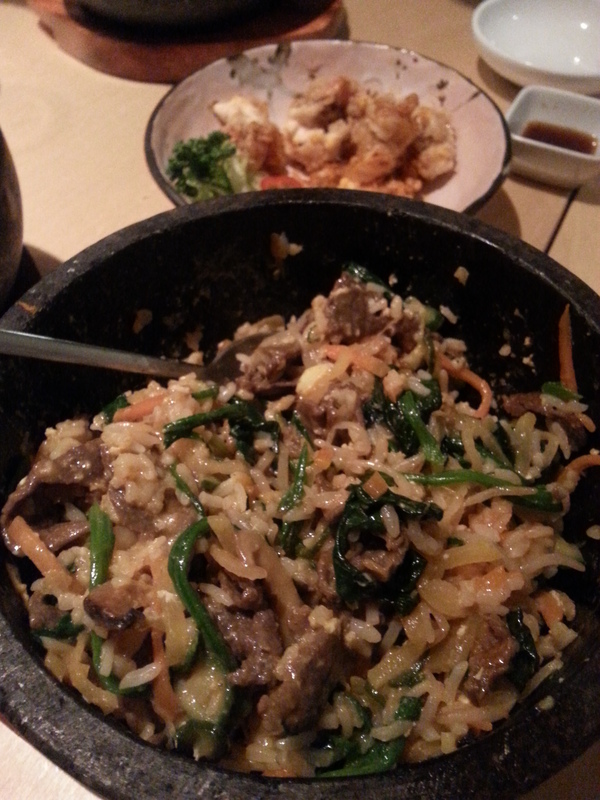 i also loved the doneness of the carrots and other veggies served in the bibimbap. their crunch made the meal feel far more healthful (yes, healthful and not healthy: http://voices.washingtonpost.com/checkup/2009/01/healthy_vs_healthful.html) than it probably was. however one tiny regret that we (rach in particular) had was that the charring was not intense enough. what we should have done was perhaps left the rice to ‘cook’ a little while before greedily tucking in! this was supposed to be tofu soup, but turned out to be more like a stew. it tasted really good at first, like something that you would crave when the weather outside is wet and cold (as is London most of the year). however, rather disappointingly, after a few sips, the oiliness (yes, that entire top layer is oil) crept in and it became a bit overwhelming. it would make a nice taster dish, however, if you were to take a trip down to the restaurant with a large group. A couple of spoonfuls is enough; an entire bowl for one person is probably a little of an overkill (in the context of a meal but for the heart as well). light but tasty, it was not overly sour, which was good as the taste of the kimchi and associated ingredients came out far more prominently. this was my (nic’s) favourite dish that night. and just look at how, again, the serving of ingredients is so generous. it literally filled up the entire surface of the bowl. 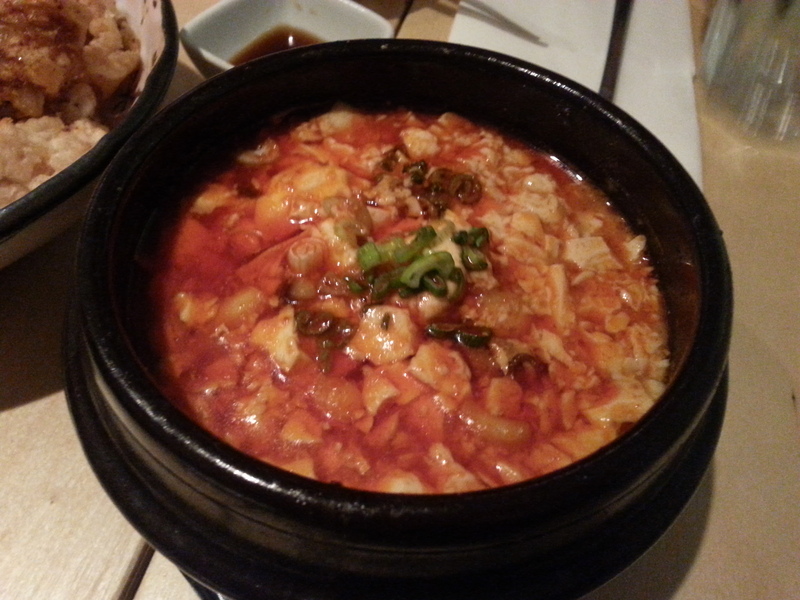 also, contrary to what other restaurants serve, this bowl of Kimchi soup was divine in that it wasn’t oily at all. i could have 10 bowls of this and still feel fit enough to run a marathon! 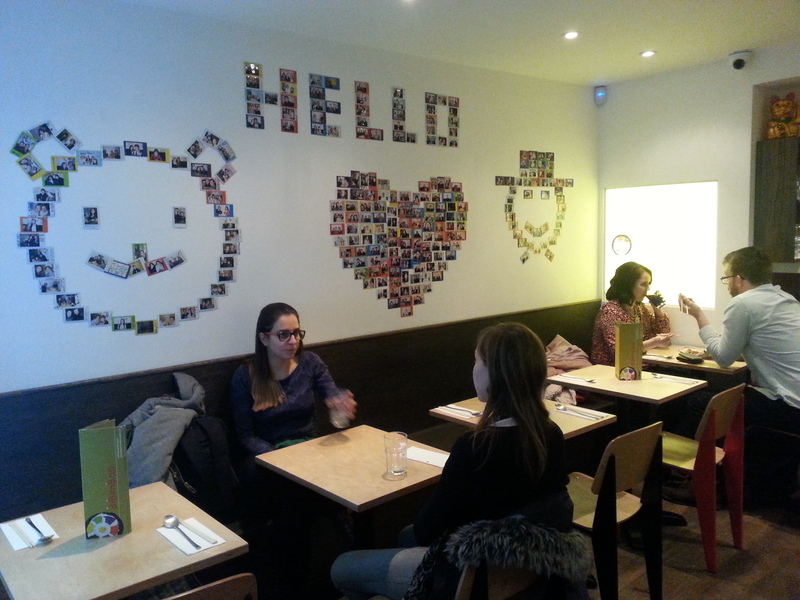 all in all, we left bibimbap as extremely satisfied customers! 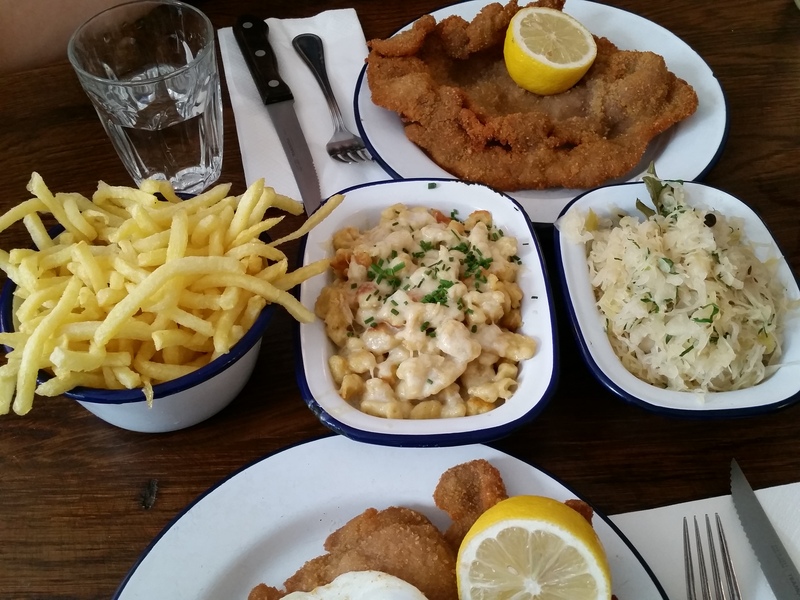 we thought the bibimbaps especially, were some of the best we’ve tried in london (both in terms of taste and serving size) especially given their reasonable price! 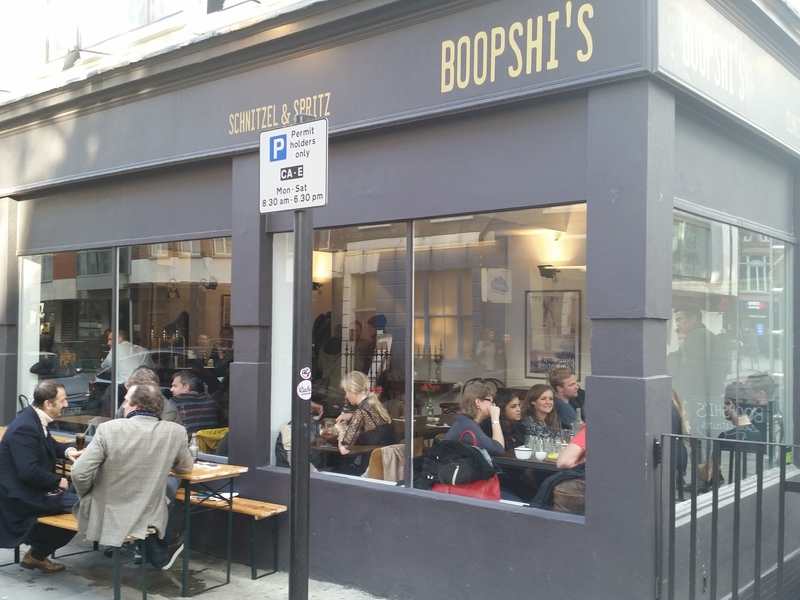 the restaurant is perfect for a casual night out with good food and friends, and is an affordable option along charlotte street for some yummy asian food. we will certainly be returning for more! a while ago, a friend sent me a facebook message: “You’re a foodie right? 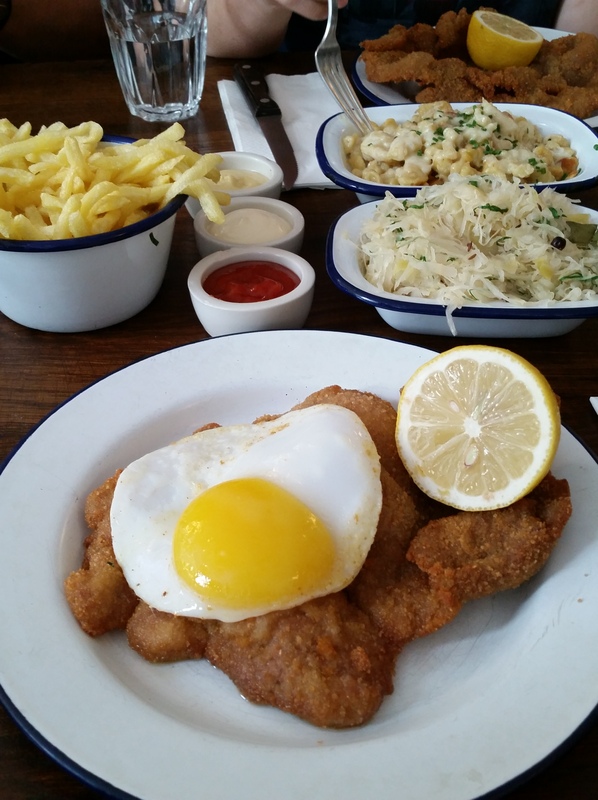 www.hot-dinners.com/Gastroblog/Latest-news/f-a-t-by-freddie-brings-gourmet-sandwiches-and-ice-cream-to-fitzrovia“. 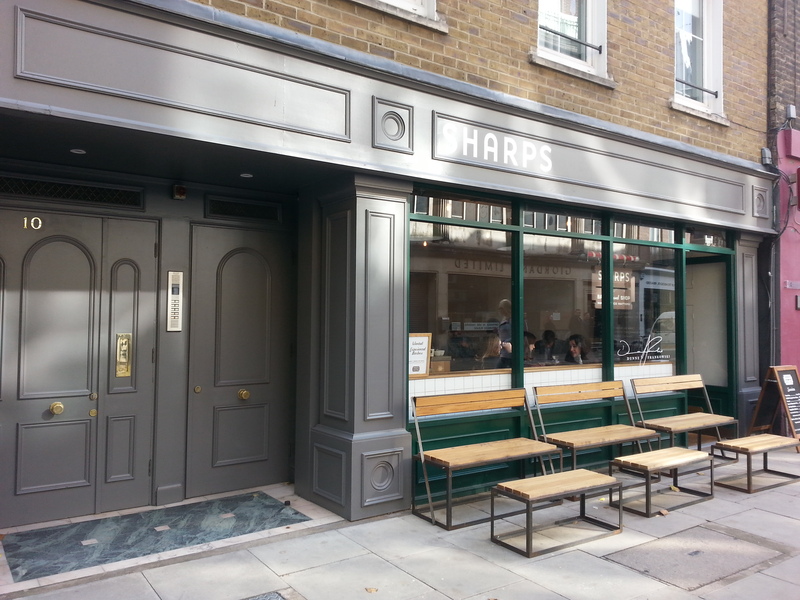 thank goodness for it and major props to him for chancing upon the online article, because it led me to this lovely little gem of a pop-up sandwich, pickles and ice-cream store just off charlotte street! 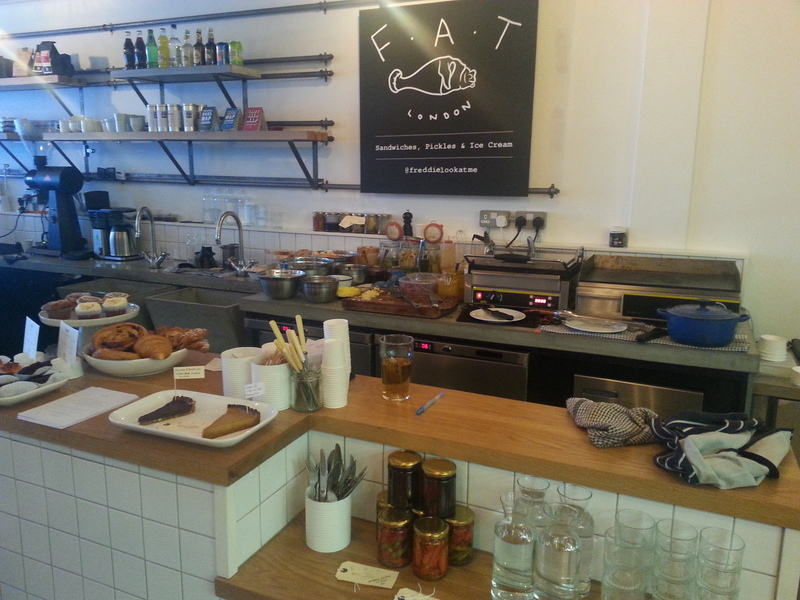 F.A.T shares a shop space with a hairdresser (sharps) and a coffee shop (Dunne Frankowski), and has a menu of gourmet sandwiches and desserts available at lunchtime that changes once in a while. we were beyond excited when the food arrived; we couldn’t wait to see if the sandwiches tasted as good as they looked and sounded!!! 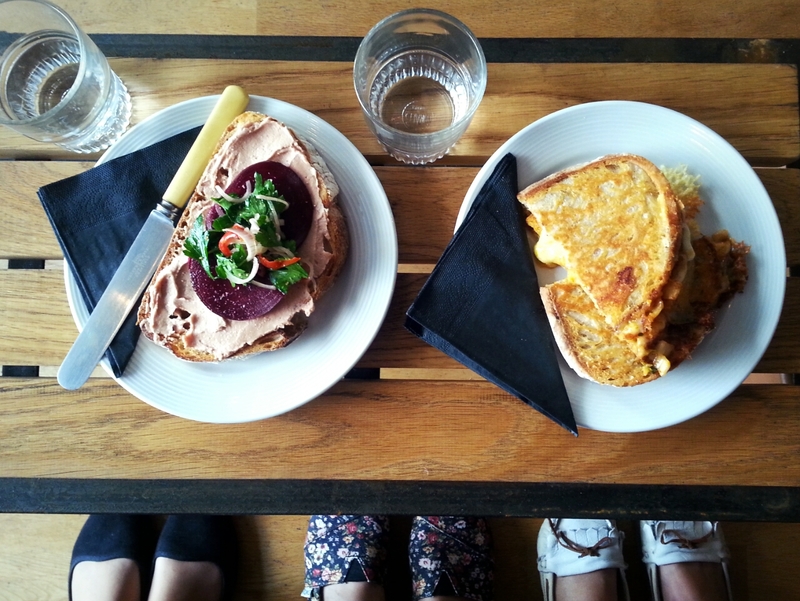 and *drumroll please*… we all thought both sandwiches did! after much deliberation, half of us decided that we preferred the kimchi to the pate one while the other half preferred the pate to the kimchi so i suppose it can be concluded that both of them are equally good, it just depends what you’re looking for? 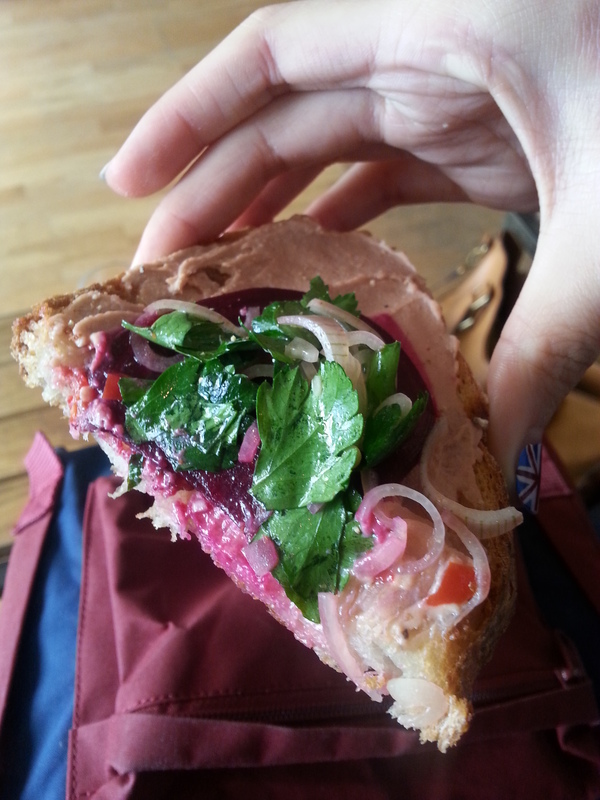 i LOVED this sandwich; its something i am definitely going back for and will miss when its gone 😦 it wasn’t just the filling of the sandwich that i adored, i also thought the big slabs of white sourdough were amazing! 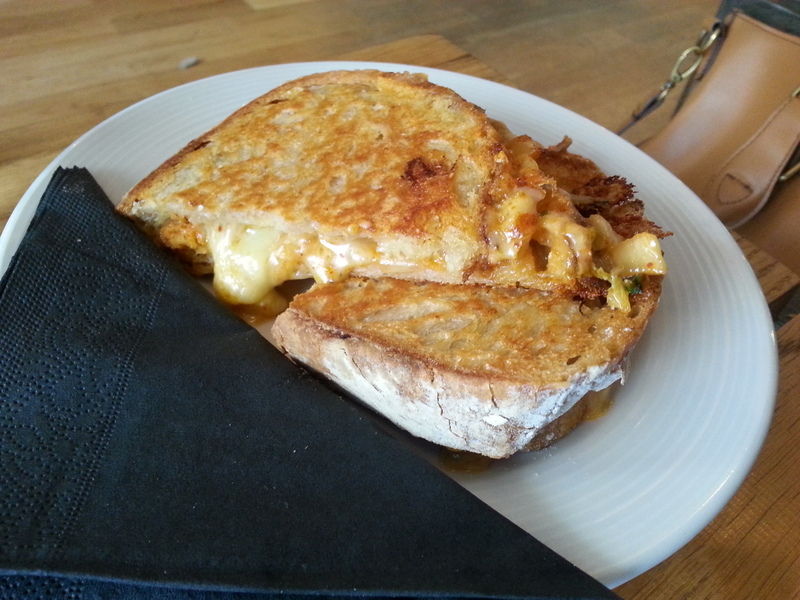 served wonderfully warm, they were toasted to perfection and i was in food heaven with all that melty stilton cheese and kimchi sandwiched between it. some might say the combination of stilton cheese and kimchi sounds odd but trust me, if you are a kimchi and a cheese fan you will probably LOVE this. when i took my first bite, i was surprised at how well it went together but now that i think about it, i wonder why i didn’t think of the combination earlier! hahaha. 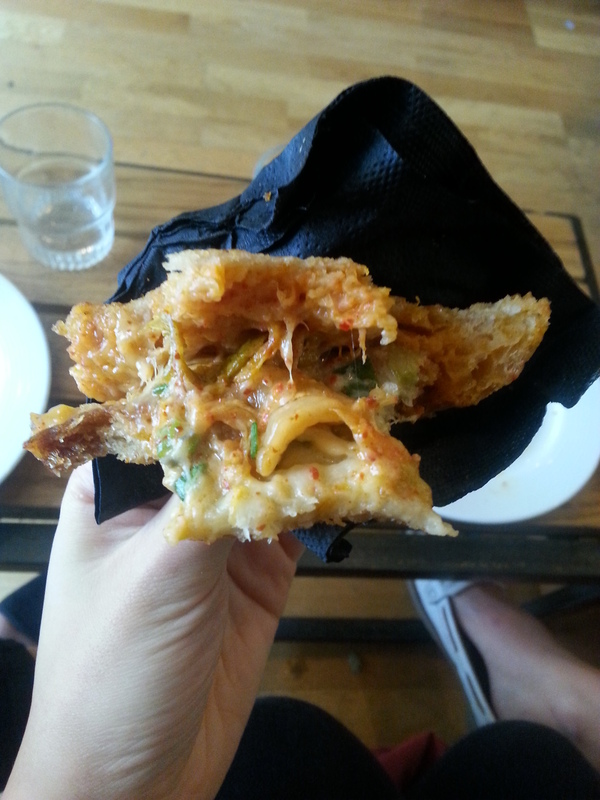 definitely one of the most satisfying sandwiches i have had in a while; i would say this is a must-try if you visit if not because you love kimchi or cheese or good bread then just to give this novel combination a chance! the “safer” choice of pumpkin pie was the more popular of the 2 among us. 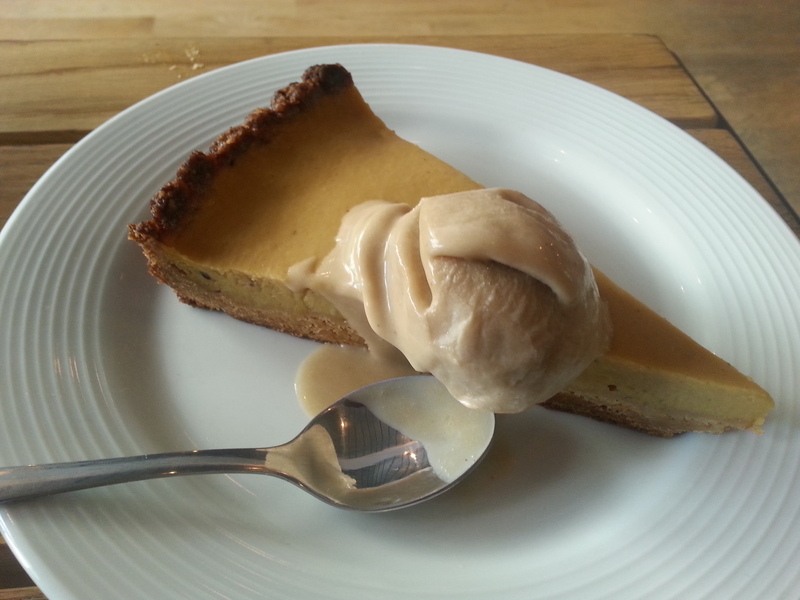 the 3 components really complemented each other – the pumpkin pie and ginger crust together were really very yummy, and the combination was made even better with the stout ice cream that topped it! the pumpkin filling was light and not overly sweet, with the natural taste of pumpkin really shining through. 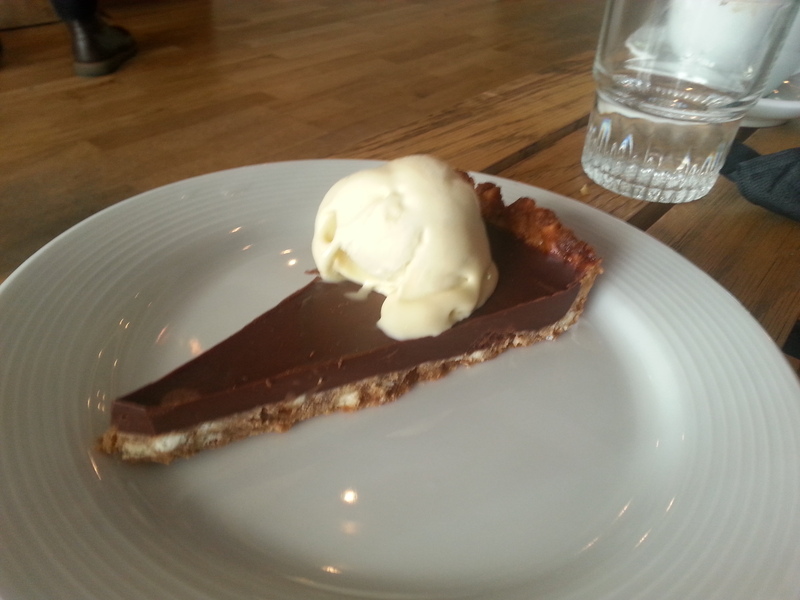 as for the more “adventurous” choice of the chocolate and pretzel pie, i enjoyed it but the rest were not quite fans of the szechuan ice cream! the dark chocolate pie filling was rich and yummy, but without the black pepper ice cream, the pie would actually have been pretty normal in my opinion. the black pepper szechuan ice cream though, is definitely something to write about. what i thought was most interesting about it was how strongly it tasted of szechuan spices! there was barely a hint of any sweetness in the ice cream; it was purely savoury which explains why it is just not some people’s cup of tea, but i thought that was what made it really special! the fact that i was having in ice cream something i am so used to having as seasoning for chicken and other chinese dishes was rather exciting hahaha. another thing to note about the ice cream at F.A.T is that it is unusually thick and sticky (freddie told us she uses a lot of cream to give it this texture & consistency) so i guess not everybody will like it (though we did! ).